They say an Englishman’s home is his castle and plenty of investors like the idea of retreating to the safety of bricks and mortar and pulling up the drawbridge during spells of market volatility. In this article we examine why it’s not necessarily that simple, plus we look at some smarter ways to invest in the property market. We highlight two property stocks which operate in attractive niches and a third one headed to the stock market which looks an interesting story. There are several reasons why investors might consider property as part of a diversified portfolio. First of all, as a physical asset class it is relatively uncorrelated with stocks and shares or bonds and so offers genuine diversification in terms of return. Real estate offers the prospect of yield (from rental income) alongside capital gain; property stocks are typically valued using their yield and net asset value. For investors with limited capital, investing directly in property is tricky. Your own home should certainly not be considered an investment in the traditional sense though you do have the option of investing in, for example, a holiday home abroad or flat or house to rent in the UK. It is worth remembering that most of us will be ‘overweight’ residential property in our portfolios, either through circumstance or through choice. 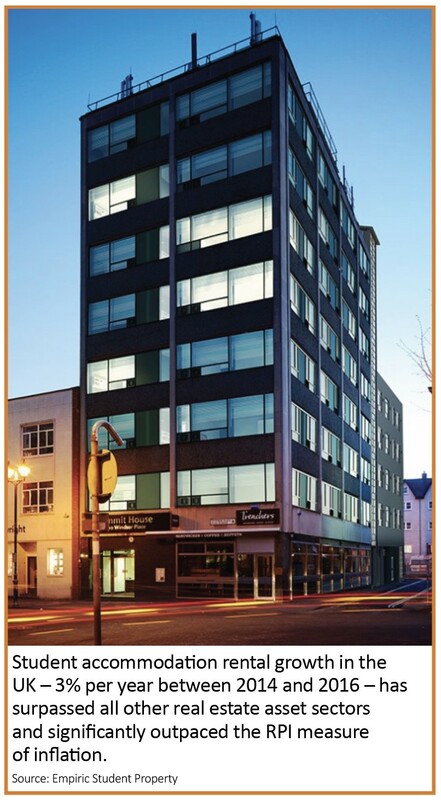 Companies on the stock market, investment trusts and funds can provide exposure to the property market via construction firms, housebuilders, property developers and landlords of commercial property. 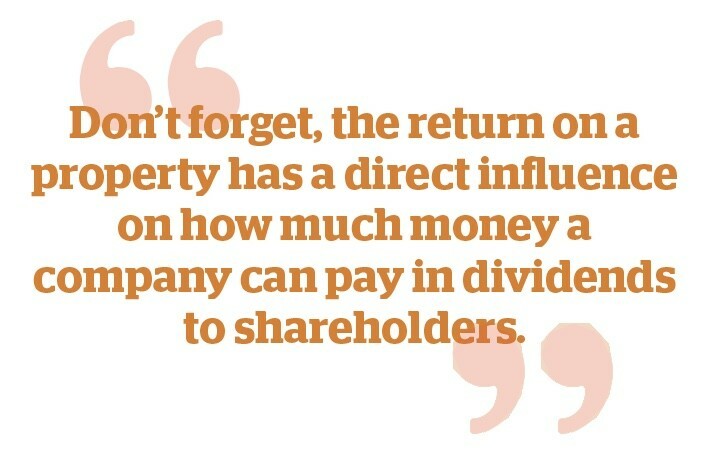 Holding shares in a property developer may not have the same effect as owning a house, but these companies should generate higher profits when house prices rise, which in turn should deliver higher dividends and capital growth. Real estate investment trusts (REITs) are a relatively recent innovation, having been introduced in 2007. The government has allowed these companies, which face extra regulation, a tax regime that almost replicates the situation you would face if holding property directly. 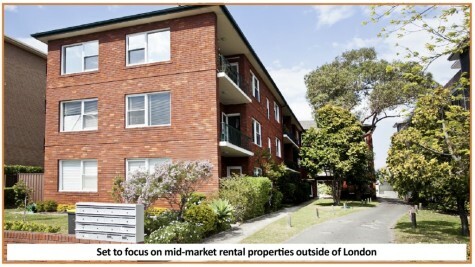 They have become a very popular way for investors to gain exposure to property. The core business of REITs is protected from corporation tax, allowing the distribution of rent payments from their tenants to flow straight through to your dividend without being hit by extra levies. In theory a REIT should provide good levels of income as they are forced to pay out 90% of the profits from their core business within one year, meaning a steady stream of dividends. Housebuilders have historically been popular ways for investors to play the property market. This strategy is no longer an easy trade as housebuilders are facing pressure on profit margins due to rising costs. The other issue to consider is a potential slowdown in the housing market. Housebuilders’ share prices can be highly leveraged to the housing market and can display volatile movements as new bits of market data are published. One alternative is to look at commercial property. REITs have traditionally invested in assets like shops, shopping centres and office blocks but several factors are undermining the valuation of these assets. Economic uncertainty created by the Brexit process means commercial property is at best a mixed bag, reflected in the weak performance of REITs like British Land (BLND) and Land Securities (LAND). A slowdown on the high street has seen retailers struggle and several have used Company Voluntary Agreements to close loss-making stores and to trim the rent they owe to their landlords. This has hit big investors in retail properties like Hammerson (HMSO) and Intu Properties (INTU). The weakness in Intu’s share price recently attracted a takeover bid with a consortium including near-30% shareholder Peel making a preliminary approach for the group on 4 October. This helped lift share prices across the REIT space, however Jefferies’ head of real estate Mike Prew says ‘REITS are “just bugs looking for a car windscreen” and will probably find it with the portfolio valuations in the November earnings season’. Essentially Prew’s argument is that the current valuations used for the majority of assets in REIT portfolios are too high and will need to be trimmed. British Land reports its first half results on 14 November and Land Securities on 15 November. At the same time, the more buoyant area of logistics assets – which benefit from the shift towards online shopping which is dogging the high street – is becoming an increasingly crowded trade, with some observers warning a bubble has formed in the sector. The clamour for assets of this type is putting yields under pressure as the chart demonstrates. The yield on prime logistic properties has been weakening in parts of the world such as Germany and the UK. This is a result of a highly competitive market to own large warehouses – so property investors are paying a higher price to own the building. The yield is calculated as a percentage, based on the property’s acquisition cost, annual income from rent and running costs. The higher the purchase price, the lower the yield or annual return on the investment. 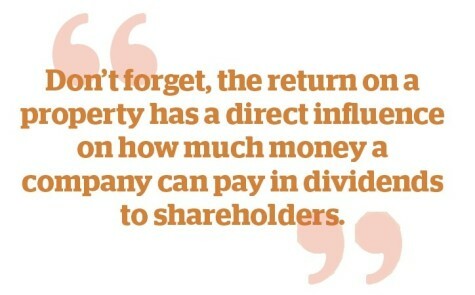 And don’t forget, the return on a property has a direct influence on how much money a company can pay in dividends to shareholders. For example, FTSE 100 constituent Segro (SGRO) is probably the most high-profile investor in the logistics property market and now only yields 2.8% based on the forecast dividend for 2018. Many investors may expect property in general to generate a dividend yield more in the region of 4% to 5%. Against this backdrop, you may think property is a no-go area from an investment perspective. Think again, as we can see numerous opportunities including student accommodation, a less mature part of the e-commerce-related warehouse market, and the rental market where falling supply and increased demand could lead to higher rents. The Financial Conduct Authority, a regulator, has proposed that property funds and other portfolios invested in illiquid assets should be badged as having ‘high liquidity risk’. Trading in these funds would also have to be closed off as soon as there was ‘material uncertainty’ expressed by an independent third party over the valuation of at least 20% of their assets. Several property funds suspended trading in July 2016 as investors scrambled to get their cash out amid widespread concern the Brexit vote would severely damage the UK property market. The FCA is looking to avoid a repeat of this situation. The problems specifically impacted open-ended funds (unit trusts and Oeics), rather than listed property vehicles, as their size isn’t limited and varies according to supply and demand. If investors want to sell or redeem their interest in an open-ended fund, then the fund needs to sell assets to meet these redemptions. Investment trusts fall under the category of closed-ended funds. In 2016 some (but not all) open-ended property funds suspended trading as they wanted to avoid asset fire sales in order to generate the necessary cash to meet a flood of redemption orders from investors. The problem is that investors want to be able to buy and sell funds whenever they want but the underlying asset class held by these funds doesn’t work this way. A fund manager trying to sell their interest in an office block, for example, would struggle to achieve a sale in a short timeframe. Student accommodation as an asset class offers returns which are relatively uncorrelated with the wider financial markets. The fortunes of this space are reliant instead on UK universities’ reputation for excellence. Empiric Student Property is on the comeback trail after being forced to cut its dividend payments in November 2017 amid spiralling administration costs. The progress made under acting chief executive Tim Atlee and chief financial and operating officer Lynne Fennah is not currently reflected in the valuation. At current levels the REIT trades at a 7.6% discount to net asset value compared with a 2% discount at its counterpart GCP Student Living (DIGS). The plan is to sell non-core assets but only once these assets are fully let so the best possible price can be achieved. The management of its portfolio is also being brought in-house with the development of its Hello Student platform. This should improve margins and, with the company approaching full occupancy for the 2018/19 academic year, should support its target of delivering a fully covered dividend for the 2019 financial year. Empiric’s portfolio encompasses nearly 100 properties across 29 cities and towns including some of the UK’s top academic institutions. 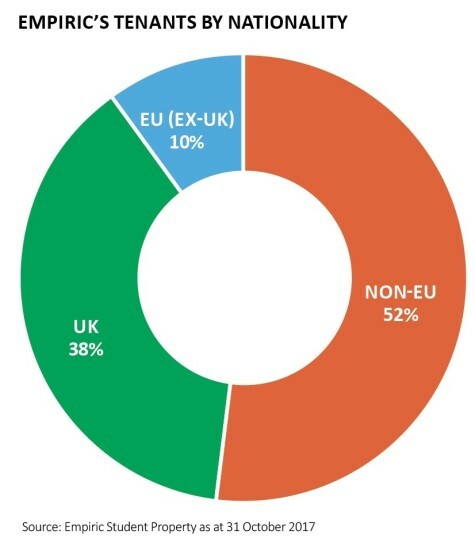 Brexit is a risk to consider as it might depress the number of students coming from the European Union; however it is worth noting the large number of non-EU students which come to the UK to study. As the pie chart shows, just 10% of Empiric’s tenants are from the EU (ex-UK). While the logistics property market in the UK might be looking very expensive, Mike Prew, the property expert at investment bank Jefferies, says the European logistics space is five years behind the UK. This should create positive dynamics for Tritax Eurobox (EBOX), launched in July 2018 by the people behind the £2bn-plus Tritax Big Box REIT (BBOX). The plan is to take the extremely successful Big Box template to continental Europe. The strategy has been to rent out high quality logistics assets of 500,000 square foot or more to institutional-grade tenants on long leases. 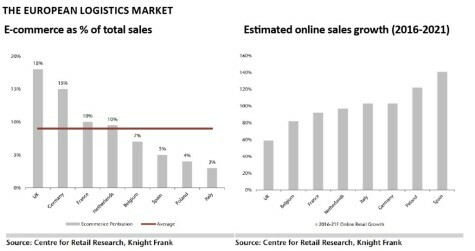 The reason the European logistics sector is lagging the UK is that shoppers do not currently buy as much online in Continental Europe. 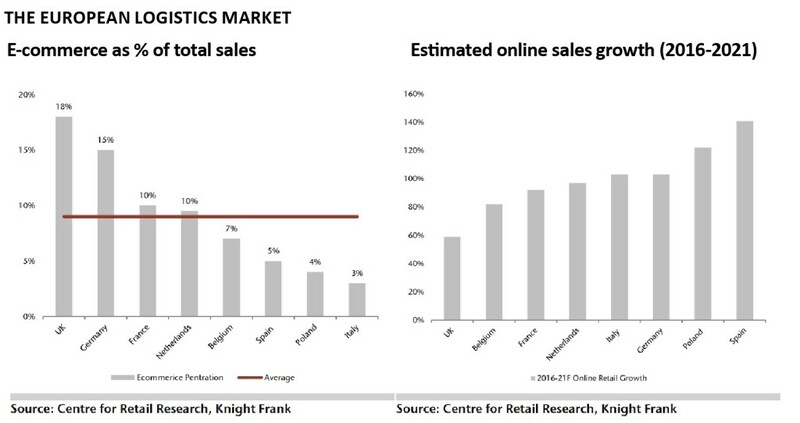 As the chart shows, 18% of UK retail trade is done online with Germany the next closest in Europe at 15% and many other large European countries having much lower levels of online penetration. Unsurprisingly these immature markets are expected to grow more quickly. This growth will require warehousing facilities to store and process orders and returns, providing support to the yields Eurobox can achieve from its assets. The £300m raised alongside its stock market flotation will be invested in a €1.8bn pipeline of logistics properties – with Tritax actively negotiating the purchase of assets worth upwards of €600m. It is targeting an initial dividend yield of 4.75% once fully invested, to be paid quarterly in sterling, and a total return in the medium-term of 9% a year. On 26 September the company announced its first acquisition with the purchase of the global distribution centre for clothing retailer Mango in Barcelona for €150m. The purpose-built facility was constructed in 2016 and is let to Mango on a 30-year lease. There is also potential to extend to an adjacent plot of land. Eurobox expects to be fully invested by December with several other deals in progress. The shares do trade at a small premium to net asset value, probably reflecting investors’ hopes that it can match the impressive performance of Big Box. We’re certainly confident, so buy its shares now. Keep an eye out for The Multifamily Housing REIT which is scheduled to join the stock market on 26 October. The investment trust hoped to float in September but pushed back the date to give potential investors more time to do due diligence. Assuming the listing does happen, we think it could be a good option for investors who want to add something property-related to their portfolio which offers a more resilient slant. The real estate investment trust is focused on pre-built privately rented homes in ‘regional’ England (or in other words outside London). In other geographies most institutional investment goes into pre-built stock but in the UK the focus up until now has been on build-to- rent schemes. Jonathan Whittingham, CEO of Harwood Real Estate Asset Management and non-executive director of The Multifamily Housing REIT, notes there was a perception from some potential investors that the market it is targeting simply doesn’t exist. The plan is for the proceeds from the float to go towards the acquisition of a portfolio of properties in Bristol, the West Midlands, East Anglia, Manchester and Leeds. These are ‘mid-market’ properties with average rents of £500 to £700 per month – equating to 30% of the median salary for around 70% of the local populations in these areas. The trust says this compares with average one-bedroom build-to-rent propositions requiring 46% of average local regional salaries. Most of the properties are low-rise apartment blocks of traditional brick construction. As well as the initial seed portfolio, an immediate pipeline of £422m has also been identified. A total return of 10% is being targeted including a 5% dividend yield and the trust intends to have a progressive dividend policy. The company will operate a ‘hub’ strategy with four separate hubs dedicated to managing the properties which, because they are in close proximity to each other, should result in efficient operations.